Rockville Centre drivers looking for a new Volkswagen Passat lease are in luck. With our wide range of Passat lease options, you can find just the right fit for your driving needs! 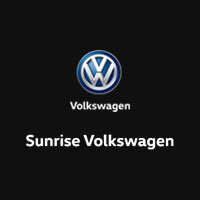 Why Lease a Car from Sunrise Volkswagen? Lower Monthly Payments – From monthly payments to down payments, leasing a new Volkswagen model like the Volkswagen Passat or Volkswagen Jetta will come with lower payments. Lower Sales Tax – In many places, leasing will lower the sales tax associated with the purchase. Trade-Ins – When your lease agreement is over, the process of getting your next leased vehicle is simple. Head to your local Lynbrook dealership, pay any remaining fees, and drive away in your next vehicle of choice. Great Coverage – Because you don’t own the car, warranty coverage and maintenance are made easier for you. Any issue that comes up under your warranty is covered. Variety of Options – Leasing allows you to stay in the newest models with the most up-to-date tech every time you lease a new vehicle. Higher Approval Rate – Even if you are denied a car loan, you can still get a lease in many cases. If your credit is less than ideal, leasing may be a better route to take. Contact us to learn more, and compare the 2019 Volkswagen Passat vs Toyota Camry!